Absolutely Amazing!!! The soft white feathers & the cherub go perfectly together!!! Love the way you did the opening and that lacing.... Amazing! Too friggin beautiful. Glorious angel, love the V with the criss cross ribbon and lovin' that dainty trim. Love this one too! 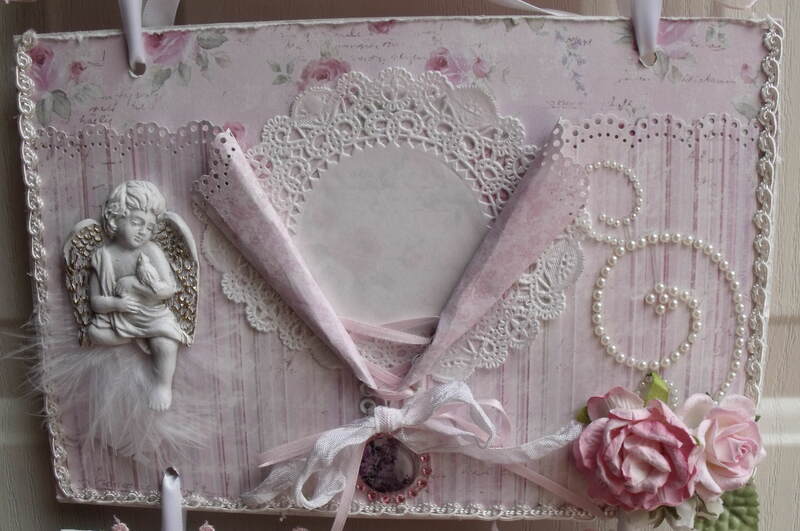 I love the sweet angel with feathers and embossed wings and laced pocket!